“79” (originally “Minories”). Briefly allocated to Hayling Island from 1912-1916 but was sold to the Admiralty in 1919 and also never received a B.R. number being scrapped in 1933. “32643” (originally “Gipsyhill”). 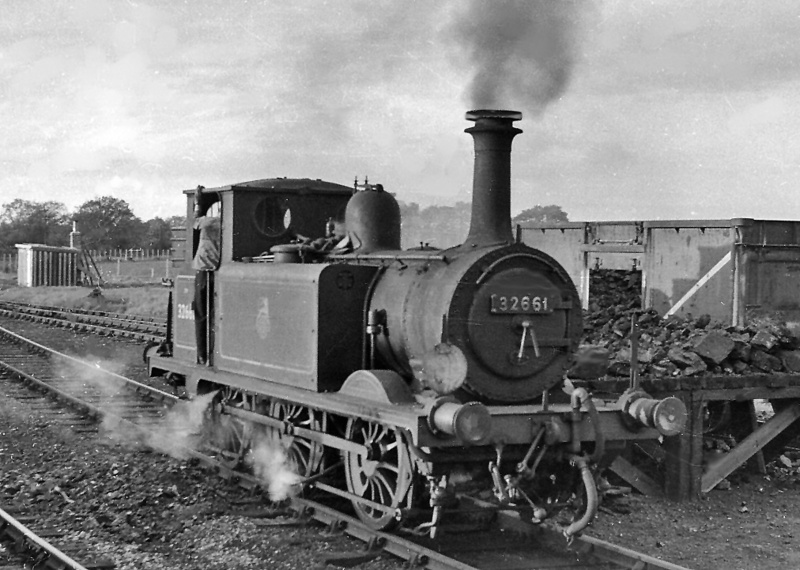 This appears to be another very early locomotive on the Hayling Island line from about 1890, which it continued to work until around 1912. After a period attached to Brighton Shed, it was then sold to the Weston, Cleveland & Portishead Railway (where it was renamed/numbered “2” / “Portishead” in 1925. The loco later become the property of the G.W.R. (No. “5”) before it was finally scrapped in 1954. 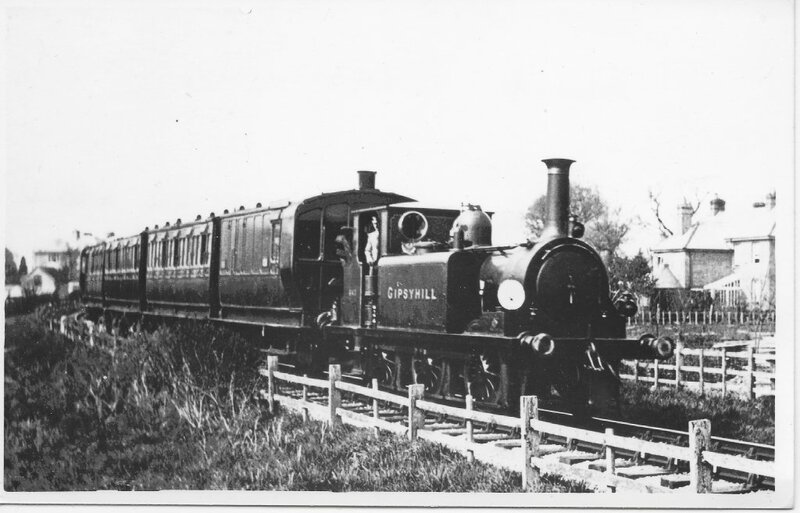 Terrier No 643 “Gipsyhill” leaving Langstone with a Hayling Island train in the early 1900s. “32644” (originally “Fulham”) This loco worked the Hayling Island line from about 1933 to 1942 but it was also allocated to the Kent & East Sussex Railway as a substitute for when “Knowle” tipped over under subsided rails. It stayed on the K&ESR until it was finally withdrawn and scrapped within the month (April 1961). “32646” (originally “Newington” then “646”. It was sold to the L.S.W.R. in 1903 for the Lyme Regis line and was later hired to Freshwater, Yarmouth & Newport Railway where it became their No. “2” [FY&NR]. It was then renumbered “W2” / “Freshwater” under S.R. in 1928 before being renumbered again “W8” [still under S.R. ownership on the Isle of Wight Railway]. It remained on the Isle of Wight until 1949 when it was deemed redundant and returned to the mainland – alternating between Newhaven and Fratton Park. During that time, it probably spent about 7½ years on the Hayling Island line until the line closed in 1963. It was then sold to Sadler Railcar Company who later sold it to Brickwoods Brewery who used it for the “Hayling Billy” pub sign where it remained for 13 yrs. In 1979 the successor owners of the brewery donated the loco to the ‘Wight Locomotive Society’ and it is now preserved on the Isle of Wight Railway as “Freshwater”. “32650” (originally “Whitechapel”). This was bought by the London Borough of Sutton and re-named “Sutton” – becoming the second loo to be named “Sutton” – the original “Sutton”) having been scrapped before the Council could buy it. As “Whitechapel” it first worked the Hayling Island line in 1912 before sale and transfer to the Isle of Wight Railway in 1930 where it was re-named “Freshwater” (later “W9” under S.R.). After a period at Lancing Coach Works, it was sent to Hayling Island in 1953 and remained there until the line closed in 1963. As stated above, it was then purchased by Sutton Council and was initially stored at the K.& E.S.R. but is currently preserved on the Spa Valley Railway. “32659” (originally “Cheam”) This loco also worked on the Kent & East Sussex Railway in Southern Railway days 1940/1942. It was finally scrapped in 1963. “32661” (the original “Sutton”) Allocated to Hayling Island line in the 1930s and seemed to have remained there until withdrawal in March 1963 (six months before final closure) but did occasionally act as Pilot at Brighton Works etc.). 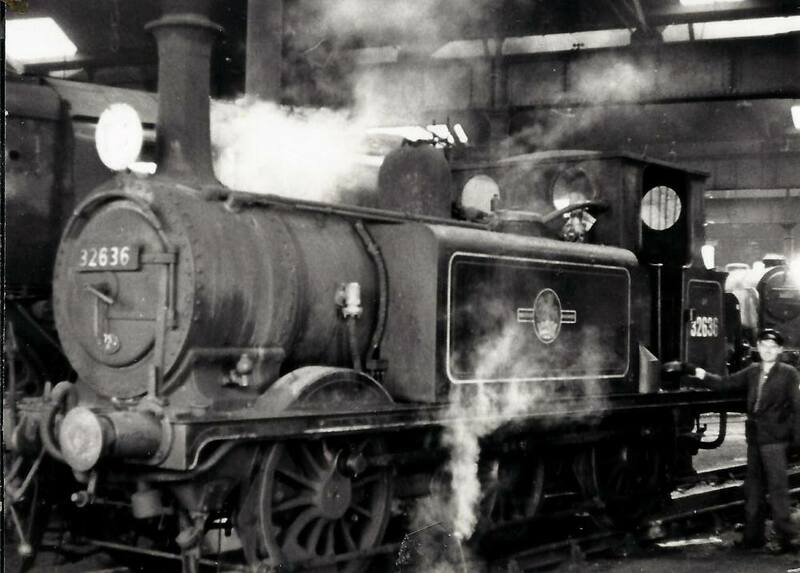 London Borough of Sutton wanted to buy the locomotive for display at their Civic Centre but it was sold before they could do that and this loco was scrapped in September 1963. “32662” (originally “Martello”) Another seemingly long-term resident loco of the Hayling Island line from around the mid-20s until it transferred to Newhaven Docks in 1955. In tandem with “32670” it hauled the last train on the K.& E.S.R. on 11th June 1961 before returning to Hayling Island in 1963. When that line closed, Butlins bought it for display at their Ayr Holiday Camp. 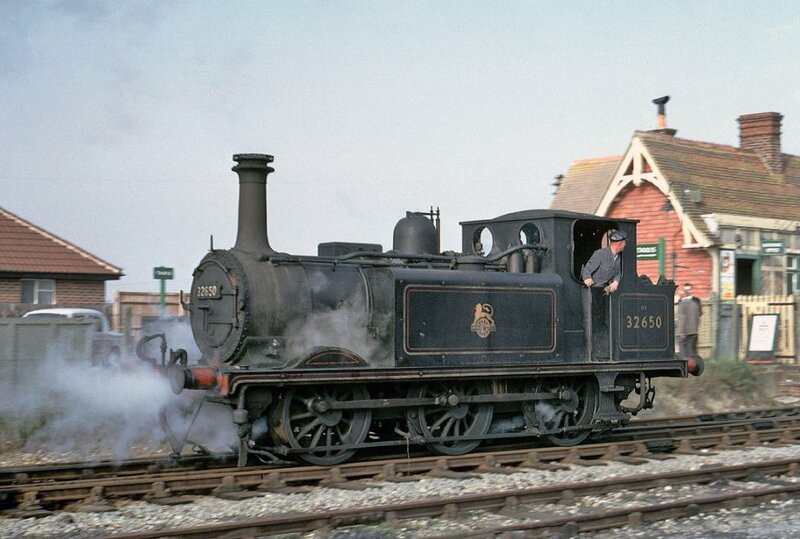 It was then lent to Bressingham Steam Museum in 1971 and they managed to finally purchase the loco from Butlins in 1989. It is now preservedat Bressingham. 32662 On shed. Dave Pallet collection Photo ? 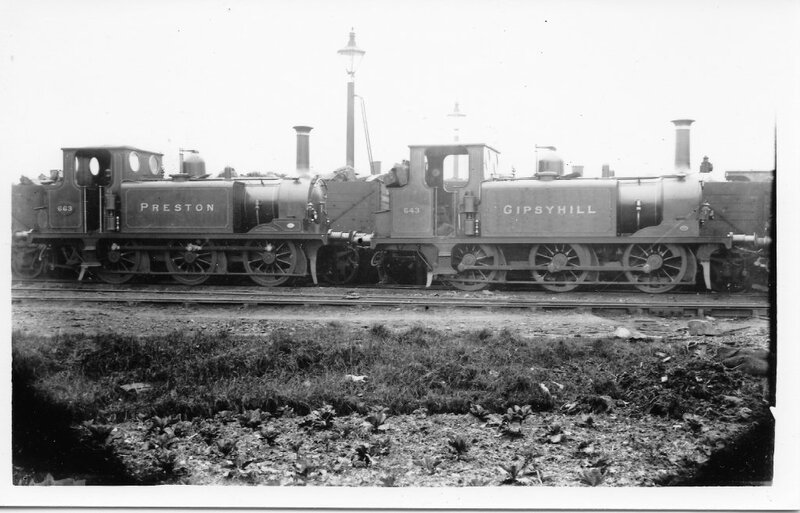 “32663” (Originally “Preston”) Worked the branch with 32643 “Gypsyhill” in the early 20th century. Both locomotives are seen here when on-shed at Fratton. “32664”(originally “Kemptown”) Briefly worked the Hayling Island line from around 1901 until withdrawal in 1902/3 when it was sold and scrapped January 1903. 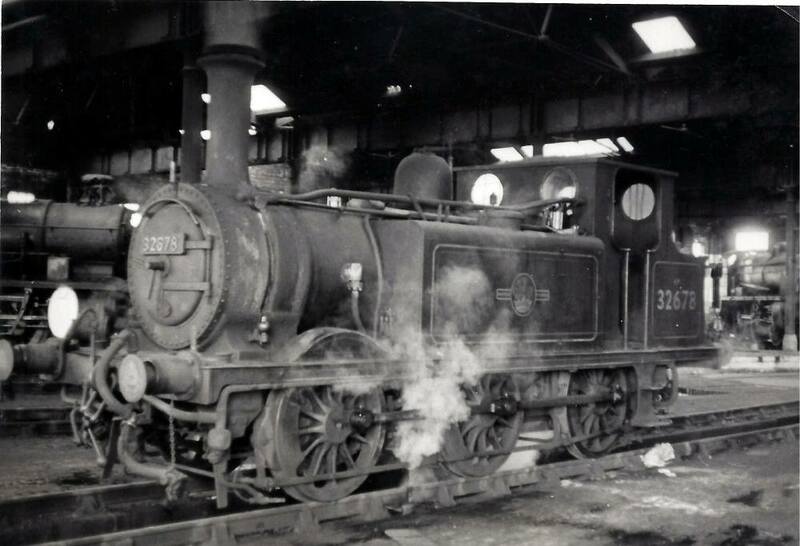 “32671” (originally “Wapping”) Later sold to the K.& E.S.R. where it was named “Rolvenden / No. 5”. 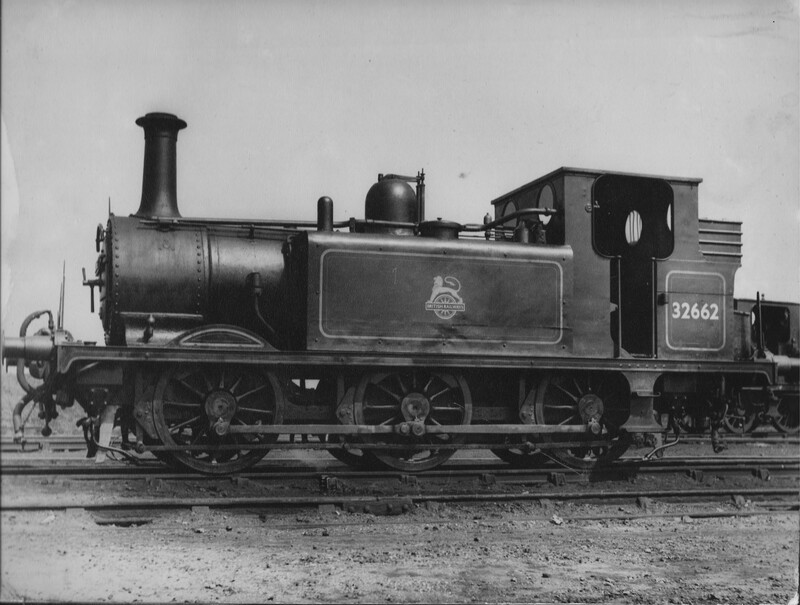 It was eventually cannibalised to keep “Bodiam” running andwas finally scrapped in 1938. 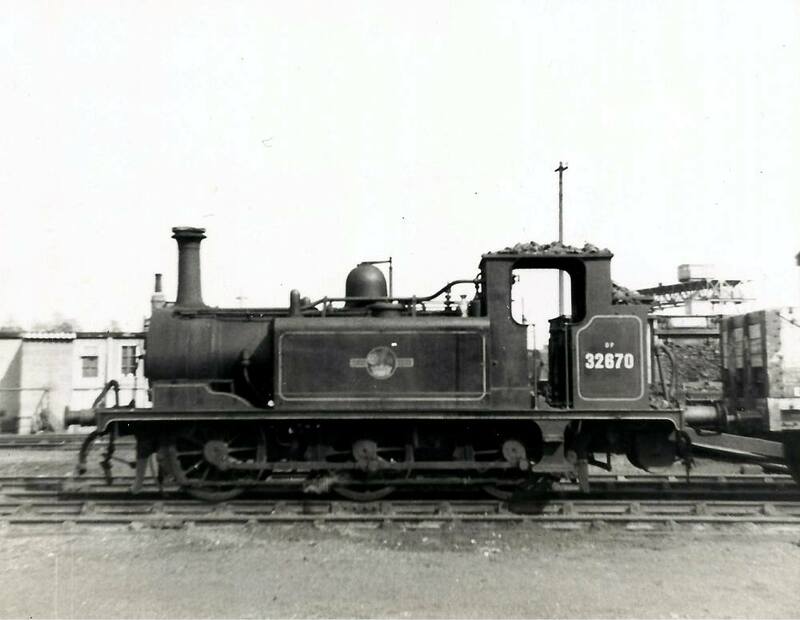 “32673” (originally “Deptford”) Worked the Hayling Island line from 1907-11. Sold to Col. Stephens for his Edge Hill Line in 1919 where it remained until 1925 when that line closed. It then rusted away there before it was finally scrapped in 1948. 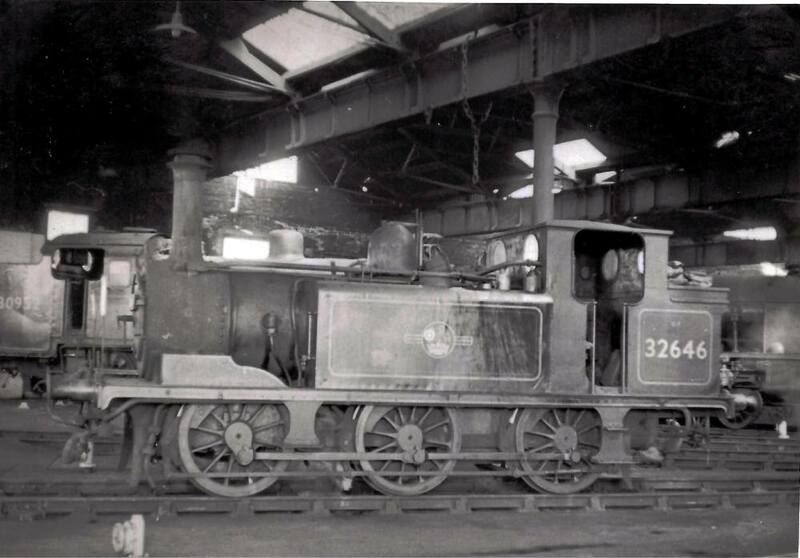 “32677” (originally “Wonersh” / “W3” / W13” / “Carisbrooke”) – scrapped by B.R. in 1959.